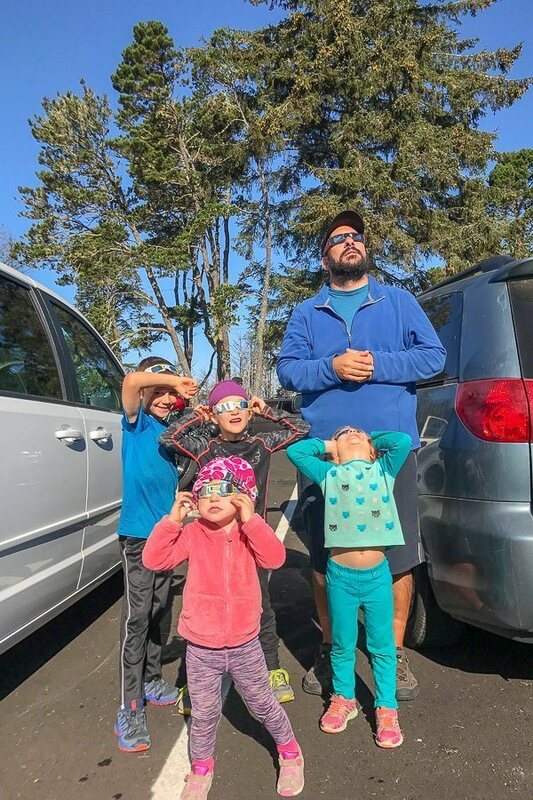 Have you wondered how a family can travel full time while educating their kids? 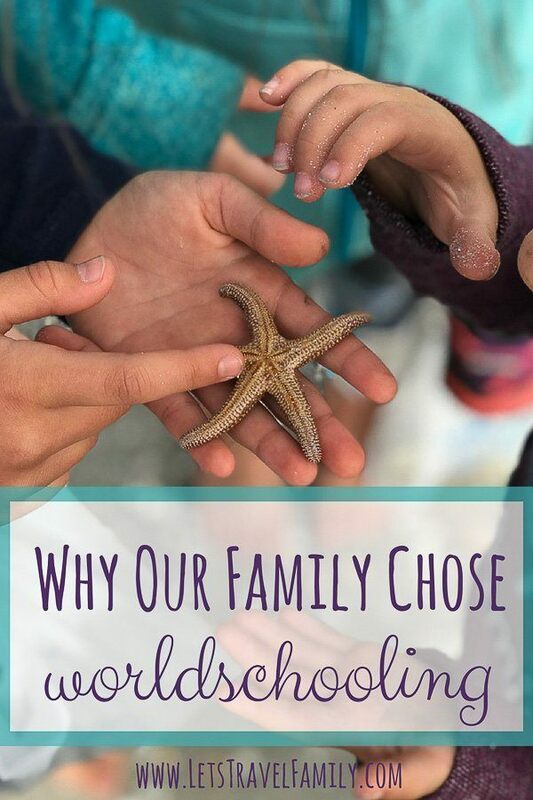 A quick answer is that we worldschool our children, and so do many other traveling families. 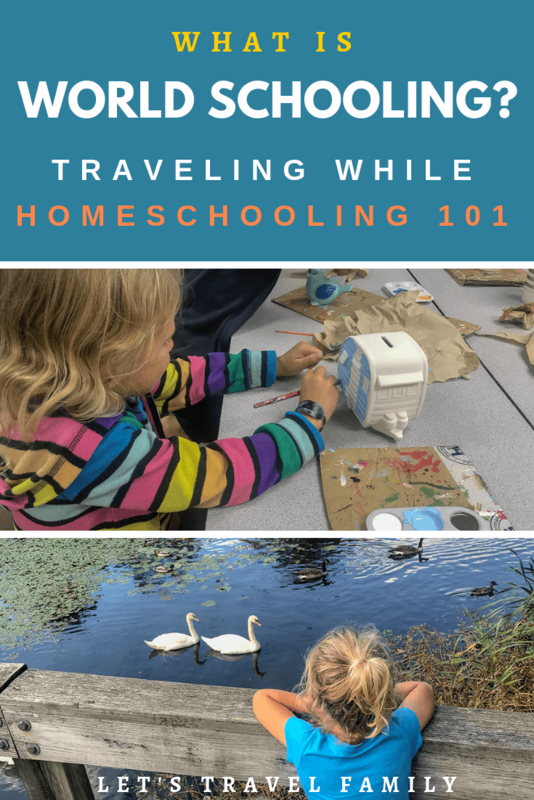 Simply put, worldschooling is a way to educate your children while traveling. It involves a different mindset and gives children an incredible opportunity to learn from the world around them while traveling. Since our family has been traveling all over the US in an RV, one might say we are ‘Roadschooling’. There are just so many terms that can be used, such as homeschooling, worldschooling, roadschooling and unschooling to just name a few. It really does not matter what you call it. I am no expert on homeschooling, but…. we have been at this since our oldest was 2 years old. He’s now 9 with three younger siblings, so we’ve experienced the different elementary levels along with navigating children of different ages and needs. When we lived in a ‘sticks n bricks’ back in Minnesota, we decided to homeschool our children instead of placing them in public school. Well, we first decided to homeschool because we did not see the public-school system as being a great place to send our kids each day. Bullies, teacher directed learning, being forced to learn at a specific pace - these just didn’t fit with our family goals and values. Early on in our marriage, Tony and I would regularly talk about, and often write down, our family goals. When we took the time to look at these, we realized that sending our child (and unborn children at the time) to a public school did not fit those goals. We came to a similar decision for me to quit my full time job and stay home with our first born baby. I had a HARD time sending my kiddo to daycare (even though it was my best friend that was watching him) while I went to work to help teach other people’s children learn how to speak and behave. Side note here, in my past life I was a Behavior Analyst who taught young children diagnosed with Autism using one-on-one ABA therapy. The decision was made pretty quickly…I wanted to be the one teaching my child to talk, read, write, and play nice with friends. This just organically grew into our thoughts about this need to keep him learning on our terms, not what the public school system wants. I am not writing this to talk poorly about the amazing teachers we have in this country. Not at all. 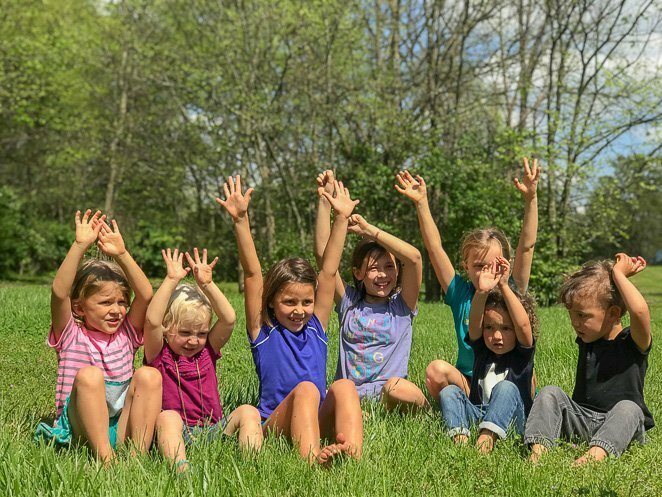 They are fantastic individuals who are put into a difficult role of teaching 1 on 30, paying attention to their student’s learning styles, self-worth, bullying, attendance, and SO much more. All the while, trying to keep the children’s interest in a subject or text-book that is required by their school district to teach. As an online teacher currently teaching ESL, I can only image what other challenges public school teachers must face each day. I praise every teacher out there, you are the true heroes. Instead, I am looking at it from a perspective of ME, the parent. As parents, we always want more for our children. Well, this was a ‘more’ that we were willing to sacrifice a second income for. Therefore, we have been homeschooling our children since the beginning. When we were stationary in Minnesota we joined homeschool playgroups, co-ops, field trips and more. 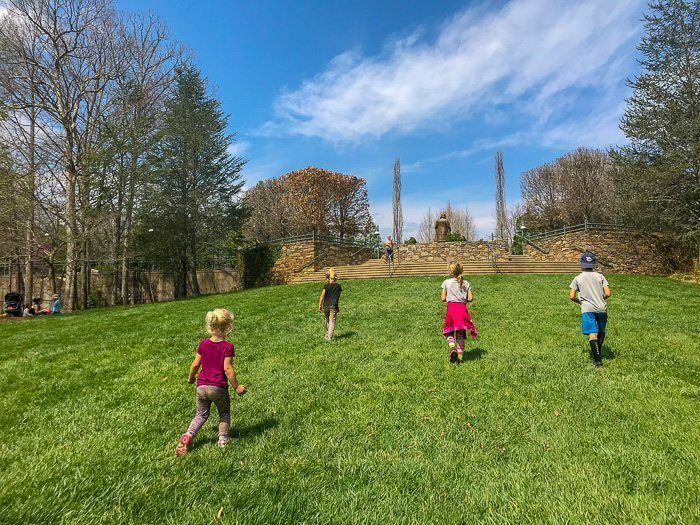 I was always searching for great ways to help my children become excited about learning, to find joy in experiencing new things. Well, when we decided to sell it all and hit the road full time, I became even MORE excited about the potential learning our family was going to do. Yes, ALL 6 of us. You see, we have the goal to BE and to RAISE lifelong learners. For us, homeschooling is a lifelong learning approach. 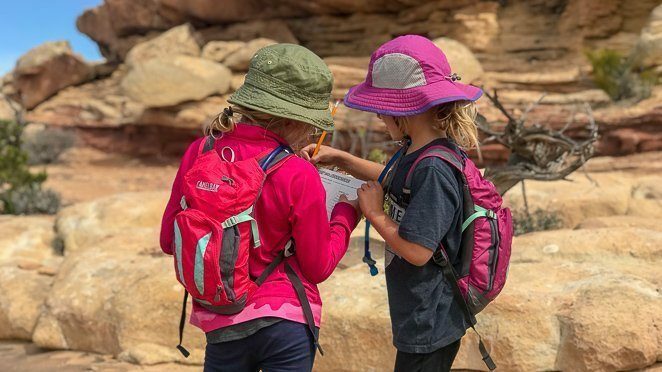 As we travel around, we are always open to what we can learn in any given situation, from shopping for groceries together, to doing the amazing Junior Ranger Programs at the national and State parks. We learn by living life together and including our children in the process. It’s amazing how many subjects are covered just within learning basic life skills like budgeting, cooking, cleaning and travel navigation. Tony and I are excited to learn something new each day, and while traveling we learn SO much more than we did before. 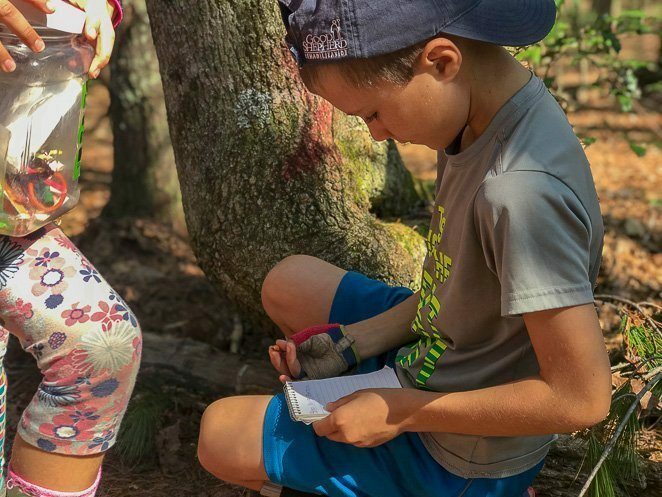 While our kiddos are young and discovering the world around them, we have seen them so excited to discover a new rock on the ground or sap on a tree. I don’t want to see the excitement for learning to dwindle. In all honesty, that was what public school did for both Tony and me. For us, delight in learning is more important to us than them knowing every single school requirement. What Was Learning Like For The Parents? I learned how to ‘do well’ by mastering studying and test taking. I became so ‘good’ at it that I went all the way to Graduate School and received a Master’s Degree in Applied Behavior Analysis. Yet I only worked for 1 year in my field before I quit to stay home with my kiddos and help foster their learning. As much as I learned how to pass the tests, I found the skills from my Masters that I really retained has helped me in all areas of my life - it’s not just about learning something to obtain a specific degree and work in that field. When it interests you, you start to use that application in your life in general - not just for one subject. It wasn’t until I stopped ‘working’ and instead focused on what REALLY interested me that I can say I became a lifelong learner. I began to pick up books about healthy eating and raw milk. 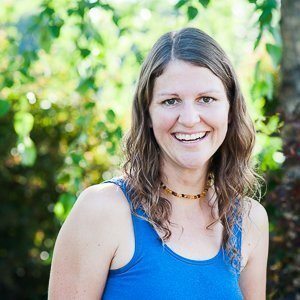 I began to learn more about homeschooling and worldschooling. I then learned more about pregnancy and birth as I began to have more children, and I trained to become a birth doula. I supported over 50 mothers during their birthing time and loved every minute of it. I had found my passion and what makes me happy….not just the surface of healthy eating, homeschooling, or being a doula….but pursuing things that spark my interest. Not just things I think I ‘have’ to pursue. The school system no longer had a hold on me so I gave myself grace and room to breathe. Room to follow my interests and feel excited to learn again. Many would call this process of stepping away from the way I thought learning was supposed to happen ‘deschooling’. We have to let go of our preconceived notions of the “right” way to learn and look beyond the box of education. We believe in the fascinating concept of functional education. I began to learn about ways we could save money and travel more. I learned about the places we wanted to take our family on vacations. I explored ways we could move out of Minnesota so we could spend more time outside discovering, learning, and moving our bodies. 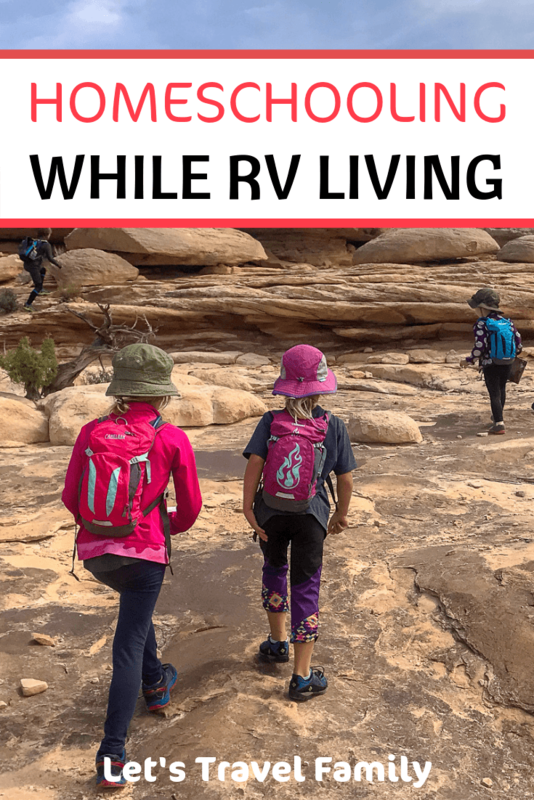 This brought our family to learning about ways we could travel in an RV full time and start a travel blog. I found myself becoming a life-long learner, modeling the behaviors I want my children to have. Our kids see my passion in learning about new destinations and learning about travel blogging. They witness Tony’s excitement when we arrive in a new state and learn about our surroundings. They see how proud Tony becomes when he finishes a project at work and can put his laptop away. This rubs off on them and sets them up for following their interests. Right now, our children’s interests are reading, playing with friends, pretend playing together, baking and cooking, and overall being kids. Our children are young, yet still excited to learn. They LOVE going to new museums, and show a lot of interest in taking photos of the places we visit. Traveling around the country allows us to explore new museums, new nature trails, and meet new friends, take photos of new destinations, and explore ALL of our interests. 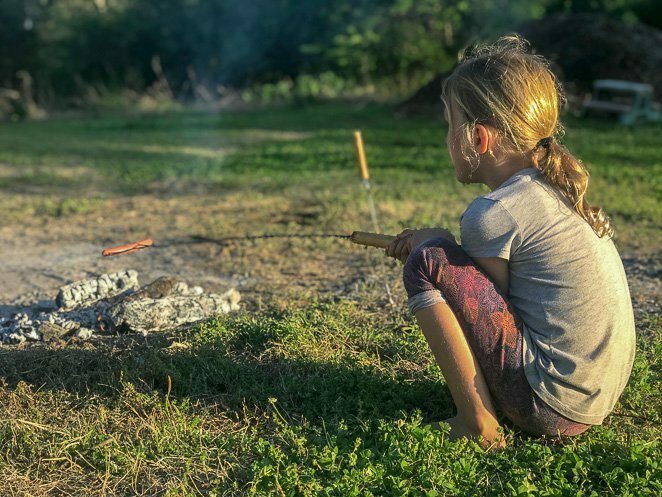 As a full time traveling and worldschooling family, our children have gained some fantastic social skills! 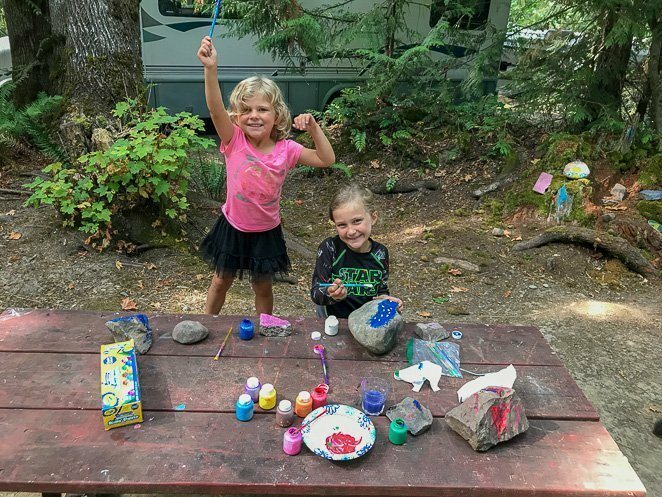 When we arrive at a new campground, they are often the first ones at the playground meeting new children and asking if they want to play. Language barriers and age do not matter in the least. When we were in Avila Beach, CA last summer a German family was camping near us. We all watched as the children played together on the playground, not speaking the same language, but they didn’t even seem to notice! They just played tag, pretend-played with a light saber and used sound effects, all while us parents stood back in awe. Many worldschooling families will agree with me when I say that our children are more social after traveling than they were before launching. They not only play and interact with other children well, but they are just as comfortable interacting with adults. This is such a great skill to have - to be able to talk to anyone regardless of the age or ability, and this is one of our family goals. You see, Tony and I try not to think of our children’s education as separate from being their parents. As their parents, we want to raise them to have good morals, values, attitudes, and to be life-long learners. We want them to grow into happy and healthy adults that pursue their dreams and live each day to the fullest. It's much like what most parents want for their children. 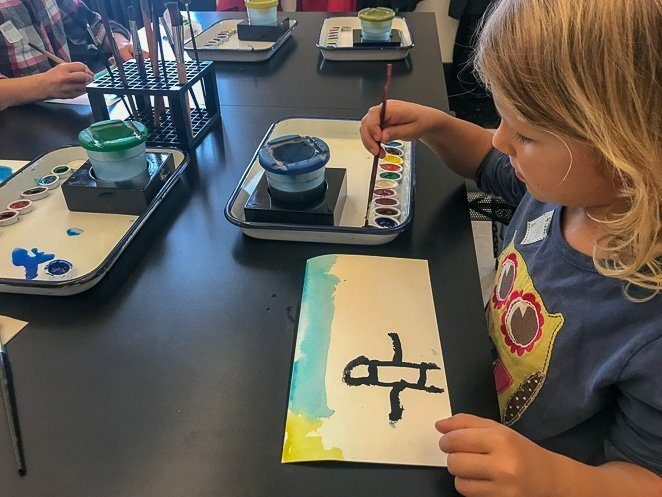 Our approaches to learning may be different - yet ultimately, we all have that desire to see our children succeed, and we have ideas on what that looks like. 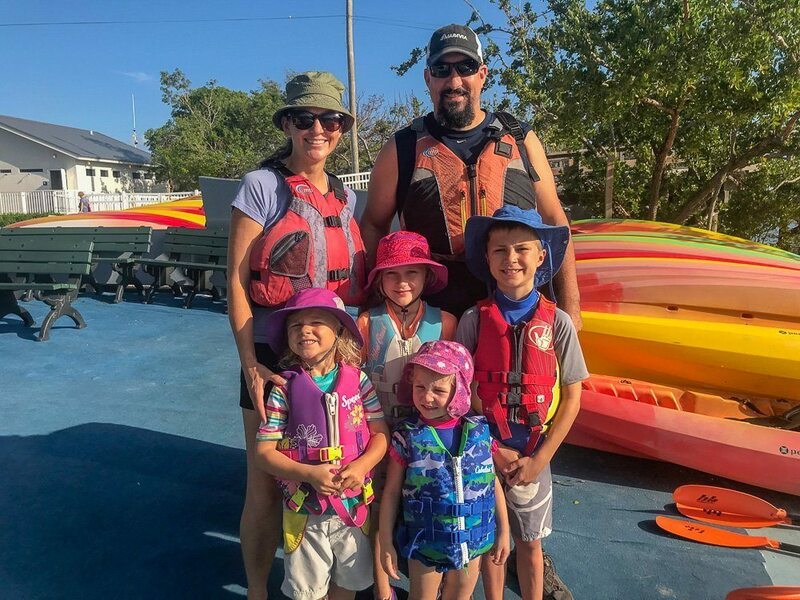 For us, we continue to check in weekly and monthly with each other and our kids to find out if the direction our lives are going helps to meet the goals we have set out. Some days it’s about learning multiplication or how to tie our shoes. 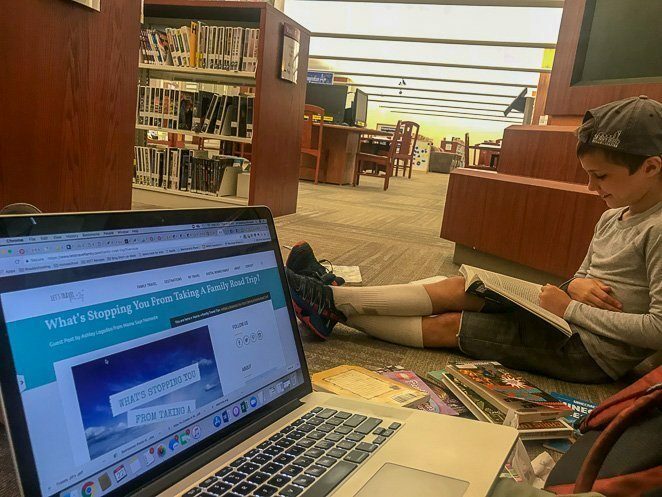 Others may be learning about budgeting or how to start a family travel blog. Or, learning how to make breakfast or how to kayak. We may explore how to meal plan, or how to read. We are all learning together, and it’s an incredible worldschooling journey. This is a great read for any parent thinking about homeschooling or worldschooling. Even if you don't plan to unschool, it's a must read. John Holt is one of the pioneers of homeschooling. This book was a life-changer for Tony and I and I highly recommend reading it.